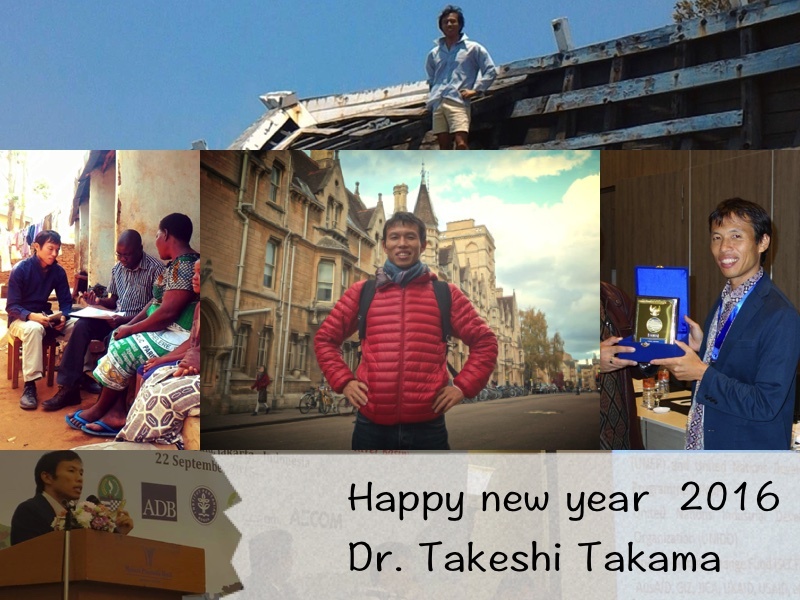 I wish it will be another fruitful year for you and your family! In 2016, I will develop more programs on bio-energy, agriculture, eco-tourism in Indonesia, but I will still work internationally. I already know that I will travel to Japan in Jun, Cape Town in Aug and Paris in Oct. I may go to Vienna, India, and Oxford and more. So, I hope to catch up old and new friends there. As my personal life, I will build a house/office/villa in Bali with used boats left on the shore of Sulawesi island. https://www.linkedin.com/pulse/building-my-office-used-boat-wood-sustainable-solution-takeshi-takama This will be my biggest hobby of this year besides surfing ;-) All my family members are now surfers, so we will spend more time on the beach! Hope to see you sooner or later!